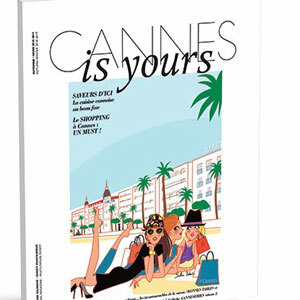 Pick up with the 13rd issue of Cannes is Yours, your 100% Cannes lifestyle magazine! Food’s up! : Cannes’s is a locavore gastronomy drawing on a sun-soaked terroir and inventive chefs working with excellent produce! Happy shopping! : Cannes boasts a fabulous retail offering of luxury labels, big international brands and select local addresses. Also, the Autumn Winter 2018 / 2019 event program: concerts, shows and exhibitions with a b2b calendar rich in new professional events.